Who are the Uyghurs? If you don’t know, you’re not alone. They live deep in the remote desert of China’s Tarim Basin, and they’re the second most populous ethnic minority in China. They are Muslims, and their plight is mostly untold. The Chinese call them terrorists. The Uyghurs deny it, saying all they want is autonomy within China. 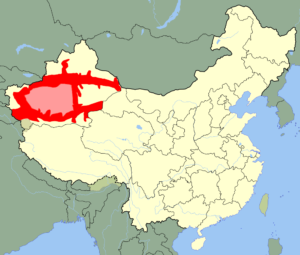 Their region is called the “Xinjiang Uighur Autonomous Region,” similar to the “Autonomous Tibet Region,” but like Tibet, the Uyghurs claim it is autonomous in name only. The Chinese government will never grant their wish, the Uyghurs say, because the Tarim Basin, situated in the far west region of Xinjiang, is the site of massive natural gas and oil deposits, which the Chinese are actively developing. To the Uyghurs this is simply one more example of the oppression and subjugation they have suffered at the hands of the Chinese. Although the Silk Road runs through Uyghur territory, and the Basin was once a major crossroads between Chinese and the West, history has not been kind to the indigenous Uyghurs. The grievances between the Chinese government and the Uyghurs involve cultural traditions, human rights, and economic opportunities. The Uyghurs see themselves as culturally and ethnically closer to Central Asian nations like Kazakhstan, Kyrgyzstan, Uzbekistan, Turkestan, and Turkey than China. Their language has Turkish roots and they look different as well – less traditionally Chinese or Han, more Caucasian. But the Uyghurs’ major problem is their religion. They are Muslims. But the Chinese state dictates the Uyghurs’ religious activities, schools, and cultural institutions. The government decides who can become a cleric, which version of the Koran can be used, where people can gather for religious events and what they are allowed to say and wear. The Chinese authorities vet all imams and sometimes demand ‘self-criticism’ sessions. According to some, the Chinese surveil mosques, fire religious teachers, bully students, force Uyghurs to watch political propaganda, and lay the blame for their woes at the feet of separatism, a crime punishable by death. Muslim Uyghurs can and have been arrested, tortured, even executed. Their children can be forbidden to attend school, and they can be forced out of their homes. Under the pretext of terrorism, China has stepped up their discrimination over the past few years. In 2013 Amnesty International revealed that the Chinese authorities were criminalizing so-called illegal religious and separatist activities. The authorities clamped down on peaceful expressions of cultural identity. In 2014 several government departments banned Muslim civil servants from fasting during Ramadan. The decision came about after attacks on the public that were blamed on Uyghur extremists. But is the internal violence perpetrated by radical Islamic Uyghur terrorists? In most cases, it’s doubtful. Many believe that ethnic tensions associated with China’s huge economic and cultural changes are the root of the violence. 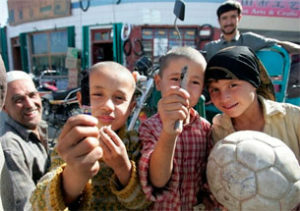 The state recruits young, tech-savvy Han Chinese from the nation’s eastern provinces and resettles them in Uyghur cities. The Han settlers get the best jobs, fueling resentment among the Uyghurs, and, at the same time, diluting the Uyghur population. This, coupled with discrimination by the State, has fed the growth of violence. But China continues to insist the Uyghurs are terrorists, which has provided an opportunity for the US and China to wage the war on terror together. Chinese drone strikes in Uyghur territory have been reported, and hundreds, if not thousands of Uyghurs have been killed. And the US killed a Uyghur leader in Afghanistan in 2010. Some maintain that the increased cooperation between the two nations bodes well for the Uyghurs. More intelligence sharing would enable the United States to determine which events in China are truly the result of coordinated violent extremist efforts, as opposed to events by the Uyghurs seeking redress for genuine grievances. 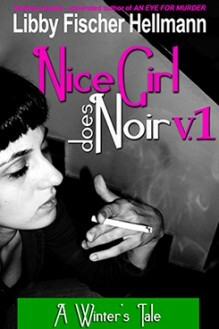 However, not everyone is as sanguine. Other nations are co-operating with China to make the life of the Uyghurs more difficult. For example, last summer the Thai government sent more than 100 ethnic Uyghurs back to China. And in the law of unintended consequences, an Australian documentary depicting the Uyghurs’ situation nearly provoked an international incident when it aired in 2014. Why don’t we hear about the Uyghurs? But all of that begs the question of why the world, particularly the West, seems to be ignorant about the Uyghurs. 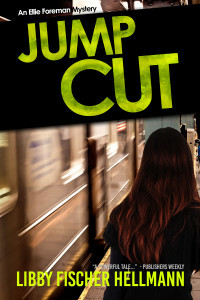 Before I wrote Jump Cut, I had no idea they existed. The West, particularly the US, is usually vigilant in pointing out human rights abuses. Not this time. Part of the reason is because journalists are denied access to the Xinjiang province. China says it’s too dangerous. The producers of a another Australian documentary did manage to get in, and there has been spotty coverage in Reuters and the New York Times. But the majority of mainstream press ignores the Uyghurs. Another factor is that discussion of the issues facing the Uyghurs is prohibited inside China. Anyone who publicly challenges the government’s behavior is automatically blacklisted, imprisoned, or worse. But what about those of us not in China? Why don’t we write more about the Uyghurs? Are we simply out of energy? Exhausted by the sheer volume of oppressed groups in our world? Over the past twenty-five years we’ve raised awareness of African-Americans, undocumented aliens, women’s rights, sexual orientation, and more. In Europe Germany has bent over backwards to lead the resettlement of Muslim refugees. Perhaps there’s a limit to our compassion; perhaps the West has realized we cannot police human rights on a global basis. Or perhaps our empathy does not extend to a culture so different from ours. It wouldn’t be the first time. We didn’t help China when it faced a massacre by the Japanese in Nanking in the 1930s, even though a group of American missionaries wrote eloquent letters imploring the US government to intervene. Or perhaps the powers of the Deep State do not want to alienate China. The British, for example, wined and dined the Chinese in October 2015 to an unprecedented public degree, without a mention of the nation’s human rights record. And the interwoven finances of the US and China link our economies together in a way that apparently transcends human rights. What does the future hold for the Uyghurs? Whatever the reasons, increasing hostility toward radical Islam in the West has given China a convenient excuse to step up its repression of the Uyghurs. The Uyghurs are not safe in their traditional homeland, nor, as Thailand demonstrated, are they safe when they flee. Unless the world’s attitudes change—and quickly—it’s difficult to see a rosy future for a people whose only crime is being in the wrong place, at the wrong time, with the ‘wrong’ beliefs.